In 1978, when Bill Weber and Amy Vedder arrived in Rwanda to study mountain gorillas with Dian Fossey, the gorilla population was teetering toward extinction. Poaching was rampant, but it was loss of habitat that most endangered the gorillas. When yet another slice of the Parc des Volcans in the Virunga Mountains was targeted for development, Weber and Vedder recognized that the gorillas were doomed unless something was done to save their land. Over Fossey's objections, they helped found the Mountain Gorilla Project. The MGP was designed to educate Rwandans about the gorillas and about the importance of conservation, while at the same time establishing an ecotourism project -- one of the first anywhere in a rainforest -- to bring desperately needed revenue to Rwanda. Weber and Vedder realized that Rwandans were bearing the full cost of saving the gorillas while receiving none of the benefit; the MGP would change that formula and help to meet local people's needs. In the Kingdom of Gorillas introduces readers to the world of mountain gorillas. Through the authors we come to know entire families of gorillas, from powerful silverback patriarchs, who fiercely protect their territory and their families, to helpless newborn infants, cradled in their mother's embrace. Weber and Vedder take us with them as they slog through the rain-soaked moun- tain forests, observing the gorillas at rest and at play, eating, grooming, and preparing their nightly nests. They tell us about the gorillas they recognized and came to know as individuals, stories both tragic and joyful. They describe a landscape that was heaven one day, green hell the next. And they tell of their discovery of the terrible and mysterious events surrounding Fossey's murder. When the authors first arrived in Rwanda, European expatriates called it "the Switzerland of Africa," a name that referred not only to its high mountains and rugged beauty but also to Rwanda's relative political and economic stability. Most outsiders knew the country only for its endangered gorillas, but Rwanda was a nation in danger, too. In the 1980s Weber and Vedder expanded their conservation work in Rwanda to include other forest reserves, learning more about the country, its people, and its increasingly turbulent politics. When a simmering civil war exploded into genocide in 1994, Weber and Vedder were in the U.S., unable to contact their many friends and colleagues trapped in the horrendous bloodbath. Later they would hear tales of brutality but also of heroism, including stories of park workers who hid their countrymen to protect them from slaughter. Others continued to work in the face of danger and without pay for nearly a year. Ironically, throughout the genocide and the subsequent conflict, the Virunga homeland of the gorillas was scarcely touched. Today the population of mountain gorillas is the highest it has been since the 1960s, and there is new hope for the species' fragile future even as the people of Rwanda strive to overcome their ethnic differences. I read this book while in Rwanda for gorilla tracking, and, as such, was really hopeful that it would give me greater insight into the history of Rwanda and the gorilla conservation movement. 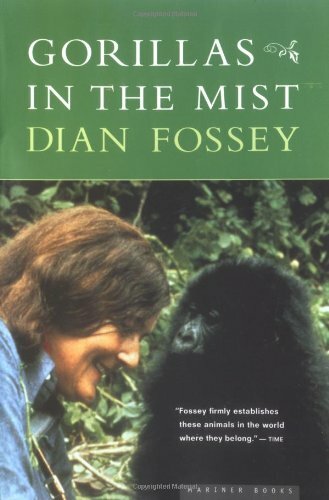 While there is much within the book that is interesting, I found myself so turned off by their continued sniping and disparagement of Dian Fossey's character (even in the pages immediately following her death), that I had to question their perspectives and motives overall.They struck me as "Salieris"... so clearly jealous of her, her fame (which they have obviously never achieved) that their petty remembrances (she drank too much, she didn't give us wood) tainted the whole book.They were hired by her, clearly had a personality clash and then never got over it.Or perhaps they felt these tabloid "inside scoops" on Dian Fossey would help to sell more books? Either way, they have lost.They didn't seem like good scientists or good people to me. 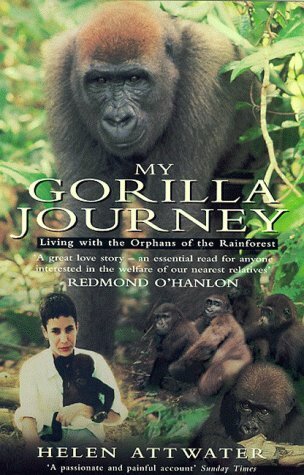 I had this book for many years before actually picking it up to read.I bought it while working at a bookstore and even though I have a wildlife biology background, I do not have a particular interest in gorillas so it took me awhile to get around to reading it.That being said, this was one of the most thorough, interesting, honest, and engaging books that I have ever read on any species or wildlife related issue!Hats off to Bill and Amy because they are two of the most honest authors that I have ever read.They told the whole story about their lives and experiences with the gorillas, even when the facts did not neccessarily portray them in a good light!That makes this read extremely refreshing and their telling of accounts undoubtably truthful and honest! 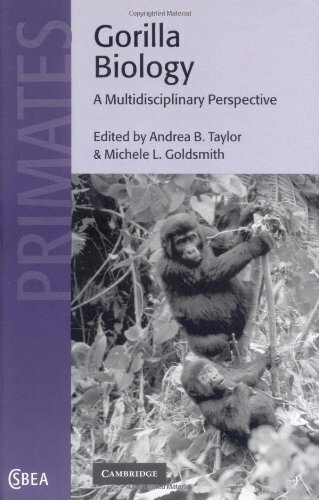 !This should be required reading for any student of international wildlife management/conservation but will be an engaging read for anyone interested in gorillas, wildlife, conservation or the events that took place in and around Rwanda in the 90's.Highly recommended! !Wish there were more books like this on wildlife related issues out there!! This is a great book. Not only does it tell an incredible story. But it also illustrates one of the realities of saving wildlife and habitat. People don't kill wildlife or destroy forests out of spite. They are driven to it for economic reasons; namely, they have no other way to feed their familes. So, in order to change their behaviours, they have to be offered alternatives. The work of Bill Weber and Amy Vetter offered alternatives to Rwandans. Their living standards rose (excluding the effects of genocide and civil war, of course) and poaching and habitat destruction were reduced. A great case study. But, much more than that, it is also an enjoyable, well written account of the lives and dreams of a great pair of people. 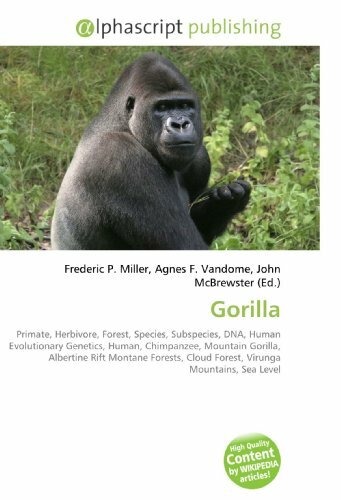 Let me start by saying that the only criticism I have of this book is that it doesn't talk about the gorillas themselves, their lives and behavior, all that much.If you want a natural history of gorillas, look elsewhere. Having said that--this is an excellent book and I highly recommend it, especially if you're going to Rwanda.The book follows the development of the Mountain Gorilla Project from the last years of Dian Fossey's life through the Rwandan genocideand beyond.It is written by the couple who took over the Project after Fossey's murder, and tells their story in fascinating detail.It is a record of the ongoing struggle to maintain a national park in a poor country, of the commitment and hard work of a few people--Europeans, Americans, Rwandans--in difficult and even deadly circumstances, and, most importantly, of the interactions of poverty, politics, personality, corruption, ignorance, education, inspiration, fear, courage, joy and tragedy in the real world of conservation biology. While this is about one country, one park (mostly) and one species, it will give the reader a much clearer understanding of the diffculties faced by field biologists, park rangers, conservationists and governments the world over who are trying to preserve wild places. The book is written in a lively, conversational style and makes every effort to be even-handed with some difficult personalities (Fossey's not least of these).Even though the book devotes only a chapter to the horror of the genocide, it presents the events in both a larger context and very personal, affecting detail.In fact, one of the great strengths of the book is its graceful incorporation of the big picture and the snapshot to tell a whole story. If you're going to Rwanda (or if you've been there)--BUY THIS BOOK! Frank Simian is not only a mountain gorilla who can talk, but also has advanced degrees that enable him to counsel humans online.Frank is the prisoner of a government facility and one of an alarming number of mountain gorillas fighting extinction.As a young jungle boy learns the astonishing intellectual capacity of the apes his people kill, and a Jesuit priest questions the differences between man and ape, Frank struggles with the secret to a terrible murder. Follow Frank's journey of personal transformation from the highlands of the Congo, to Vatican City, and beyond. Hopefully, this story will inspire and encourage readers to support the plight of all endangered animals, and to see them in a new light. I would give this wonderful book a 5 star rating. I thoroughly enjoyed the story andgot a lot of insight into what is happening to the gorillas in our world. The main character, Frank Simian, felt like a good friend of mine and I wanted to take care of him. I wanted his story to go on and on and was hoping on some sequels......great work,Dale! I have this book in Kindle format and it is a good read, very interesting stuff. I am aware of some of the locations described and Dale McSherry does a great job. As I read through this book, I could not help but wonder, is this a novel? A glimpse into the future? Or, have these events actually happened? For one, I think this would make a great movie. Kudos to you Dale McSherry and I would love to see more! Dale's delightful book is vividly written. The characters are meticulously described in great detail, and you can almost identify with the characters as if you have known them for a while as you progress along the book. The scenes are described very well, and even for one who may not have set foot on those locations, you could almost imagine those places to be exactly as how Dale described them in his book. The book also raises some questions and is contemplative without being too demanding. I bought 2 books, one for me to read, and another for another pastor. 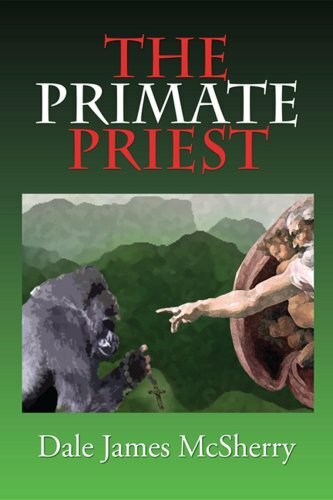 Ronn gives an excellent summary of the book and this book is an excellent read.The diverse main characters are woven very into a very delightful and enlightening tapestry.He combines the turmoil of Africa, the beauty of Hawaii, The Catholic Church and big business to send a message of hope through a great entertaining yarn. There is an unusual murder mystery and a main plot that is somewhat similar to "Cool Hand Luke". McSherry brings insight into the unique Hawaiian culture, island history and the sense of Ohana that permeates the Hawaiian Islands.I was sad to turn the last page and I look forward to McSherry's next effort. In 1963, an occupational therapist from Kentucky, in uncertainhealth and spirits, traveled to central Africa in the quixotic hope ofseeing a mountain gorilla in its natural habitat. Dian Fossey had readeverything she could about the reclusive and much-feared animal, andshe returned from her trip convinced that most of the books werewrong. During her seven-week stay in Africa, Fossey had a chanceencounter with the famed primatologists Mary and Louis Leakey, whoencouraged her to follow her dream of living among the mountaingorillas and learning their ways. In 1967 she did just that, settingup a camp on the slopes of the 14,000-foot Virunga Volcanoes of Rwandaand studying four gorilla families there. Although it took them sometime to accept Fossey's presence among them, she was immediatelyimpressed by their peaceful nature and by their generous, guilelessbehavior--so unlike the images found in popular culture. This is a wonderful book and has taught methe beauty and majesty and gentleness of this magnificentanimal.It breaks my heart to read of senseless slaughter and lifts my soul to read of people who truly care and try to preserve a wonderful addition to our world.Thanks to Dian Fossey (and her ultimate sacrifice in her caring efforts.Thanks to those who continue that caring. New condition. Great read. Love being able to purchase books online for a very reasonable cost. May never go to a book store again HA! We are planning a trip to Africa to see the mountain gorillas. Reading Ms. Fossey 's experiences with these magniicent animals is as though we have already been there. She shares her realities flavored with her emotions...a wonderful presentation. A very nice read. Her commitment to save these creatures and preserve thei habitat is to be admired and replicated by others who care about our world. The book arrived on time and it was as stated, no complaints, the service was great and it was worth the money paid. this book is the best! Even though gorillas are not my favorite animal this book made my like them better. Jeff Lyttle used very descriptive words that made me want to keep reading.I hope you buy this book! 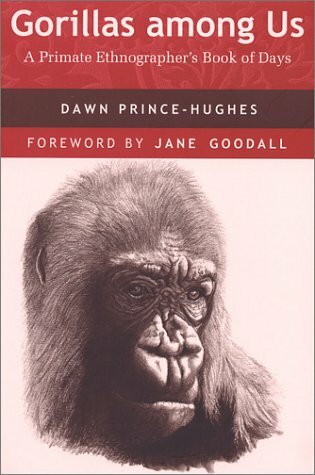 I don't generally read non-fiction, but this book was as compelling to me as any novel.I found myself stopping on every page and asking whoever was in the room, "Did you know that..."The study of gorillas is fascinating to me now, due mainly to the style of writing of Jeff Lyttle.You'll love this book! 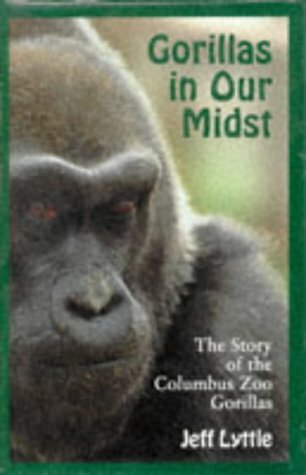 Insightful review of the Columbus Zoo gorilla generations. 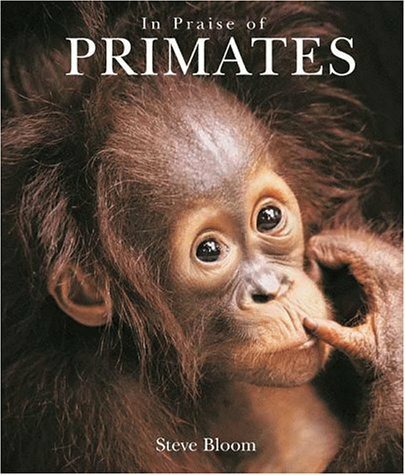 Though this was not a subject title that I would necessarily find intriguing, it was indeed most intriguing and insightful.I found the book very easy to follow and the photos helped me to see more fully the personality distinctions of each animal. I highly recommend this book to anyone with an interest in animals in general. I plan to have a copy donated to the library of our local middle school. It is the recognition of ourselves in the amazing photo's that Bloom made of these relatives of us. It's the one photobook that I take at hand regularly and that chears me up when needed, while I just look at myself at every page. I already gave away over twenty copies of it to people that are worth it. That kind of book it is. Beautiful, striking, and at times even sad and funny, this book details these amazing animals in wonderfully sharp and colourful professional photography. No review can honestly do it justice... you just have to see it for yourself. An excellent read. Very interesting with lots of information on gorillas as well as the struggles the husband and wife team went through setting up the gorilla orphanage.